Simply stunning. The sky, and the whole composition. So beautiful… it deserves to be seen and displayed! Thank you very much, Coco Di! 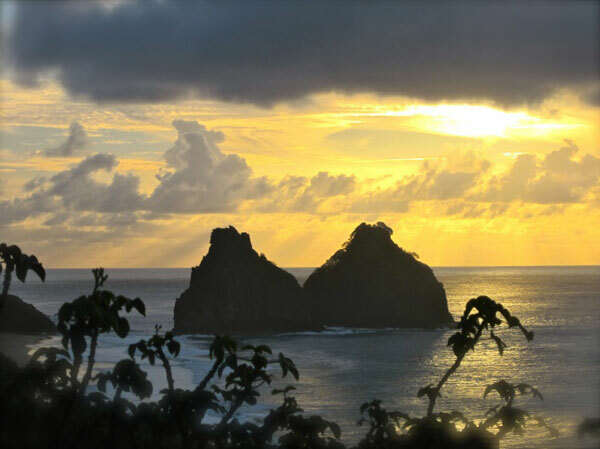 Please feel free to browse thru the posts related to “Fernando de Noronha” in order to discover other natural beauties of this archipelago… definitely a sight to be seen [and displayed!] 😮 Thank you for your kind words! Take care, Raquel. Such a beautiful sunset, well captured! Thank you, Janaline! The photograph became a favorite to many that it became the portrait for Brazil on the Departure Board site. Thanks for stopping by and commenting! Wow that is amazing, congratulations!! Previous Previous post: Always in good company! 3rdCultureChildren among Multicultural Bloggers!